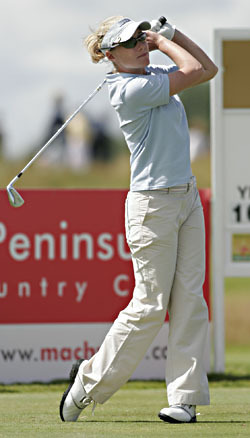 Rebecca Coakley is playing for Ireland at the Women's World Cup of Golf in the North-West province of South Africa. 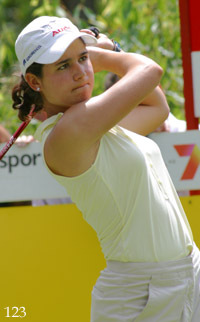 She's the next player I thought I'd do a bit of research on - I haven't ever followed Women's Golf closely, other than seeing Michelle Wie and Ashleigh Simon in the newspapers occasionally. 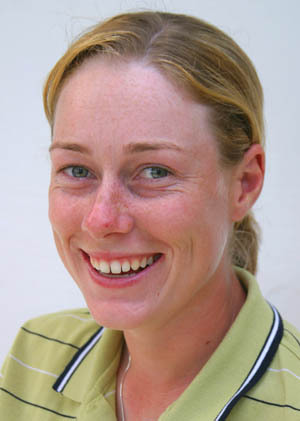 Rebecca (a very biblical name) was born on the 25th April 1981 in Adelaide Australia - so there's no doubt an interesting story behind her getting back to Ireland. She is 1.65m tall with green eyes and light brown hair.